With all of the experiences that pregnancy brings, labor often makes expecting parents the most nervous. Know you are in good company if you have many questions about labor, and think of it as an important step toward welcoming your new baby into the world. When you’re nearing your due date, the glow of pregnancy sometimes starts to fade. Those extra pounds, swollen ankles and feet, and the constant getting up during the night to go to the bathroom can take their toll. This is a time to focus on the work ahead, of birthing your baby. Pregnancy should not be left on the back burner of your life. If your maternity leave is limited and you’re feeling well, you may choose to work until labor starts. Or you might choose to step back from work to center your mind and body, to rest and gather energy for the birth ahead, and to “nest”—to quietly attend to the final details of preparing your family and home for this new loved one. Avoid the temptation to get everything done before baby arrives. Go ahead and give yourself permission to enjoy this time. The last days and weeks of pregnancy have a beauty of their own. It is a time filled with wonder ("When will my labor start? "), excitement ("I look forward to meeting my baby!") and anxiety ("Will I know when I’m in labor? What will my labor be like?"). It also can be a time of joy and relaxation. Put up your feet and read a good book, laugh out loud with your favorite sitcom or cry with a good movie. Play with your older child. Enjoy special treats like movies and dinners out. Have a date with your partner. Nurture yourself. Daydream a little. Take daily walks and naps. Spend quiet time reading a story to baby or telling baby about your household. During this time, you and baby are both finishing preparations for birth. Your baby continues to grow, putting on needed fat. Baby’s brain develops millions of connections. Muscles are growing stronger and your baby’s lungs are getting ready for life outside the womb. Your cervix is softening, preparing to open wide for birth. You may notice more Braxton-Hicks contractions as your uterus tones and warms up for the big event. For now, enjoy the last days before the dance of labor, and take heart in the confidence that you are able to do the work ahead. 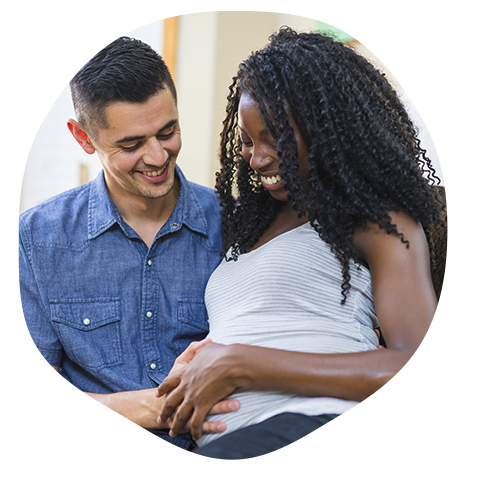 Lamaze has a variety of resources designed to guide you through labor and explore what happens during each stage. You’ll also find ways to make you more comfortable.